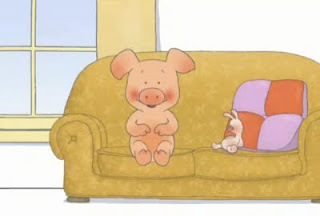 Just to let you know... that anyone with little ones should tune in to Cbeebies weekdays at 3.30pm (except Wednesdays) from Monday 7th September 2009 to see my little pal Wibbly Pig. I have a new house. All modern and cool. This big old place is too much to look after. Time to move on. A truly great summer has come to an end. Starting in Spain and ending in Brighton and the Reading festival. The highlight of which was the Prodigy. Found time to paint some concepts for our upcoming short film before I went too. More of that in the future. Many thanks to Aaron at Cold Hard Flash for the nod. just found your blog via CHF... really lovely stuff mate, keep it coming... can't wait to see wibbly pug, looks lovely. Nice work on Wibbly Pig too! Goddammit....I flippin' love Wibbly and you look like you've caught the book illos bang on Jez!